Born in 1979 in Bühl, Baden, Christopher Corbett received his first clarinet lessons at the age of eight. Since 1998 he has studied at the Music Academy in Mannheim with Wolfhard Pencz, most recently taking advanced studies. During his study years, he received a number of prizes and grants, including several federal awards at “Jugend musiziert”, the 1998 Leonberg Music Prize and most recently the first prize from the Munich Concert Society in 2005. Besides this, Christopher Corbett has been a member of various youth orchestras and chamber music ensembles, such as the AvantArt wind quintet. In 1992 and ’93 he undertook concert tours with American youth symphony orchestras in the United States and Europe. In 1996 and 1999 he played in the Schleswig-Holstein Music Festival Orchestra. 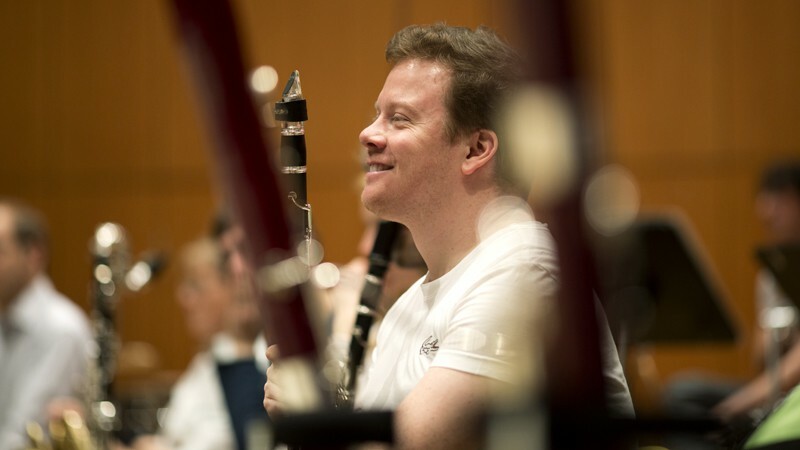 After an internship with the SWR Symphony Orchestra in Baden-Baden and Freiburg, Christopher Corbett was first engaged as principal clarinetist in the Gürzenich Orchestra in Cologne as of 2000, and between 2002 and 2005 played in the German Symphony Orchestra in Berlin. Since September of 2005, he has been the principal clarinetist in the Symphonieorchester des Bayerischen Rundfunks.